But the next page contained even a bigger surprise; a book made of bark. The library owns two Batak bark books of uncertain age. 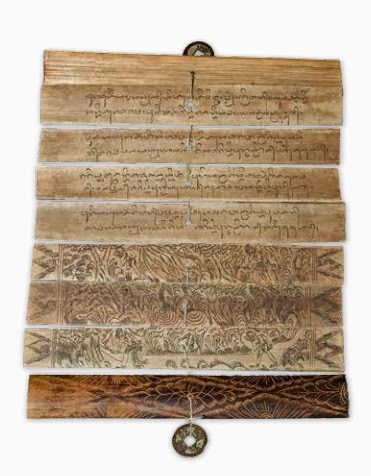 The Batak people of northern Sumatra had their own script, which is seen in tree-bark manuscripts created by magicians and healers for their rituals, oracles and medical recipes. 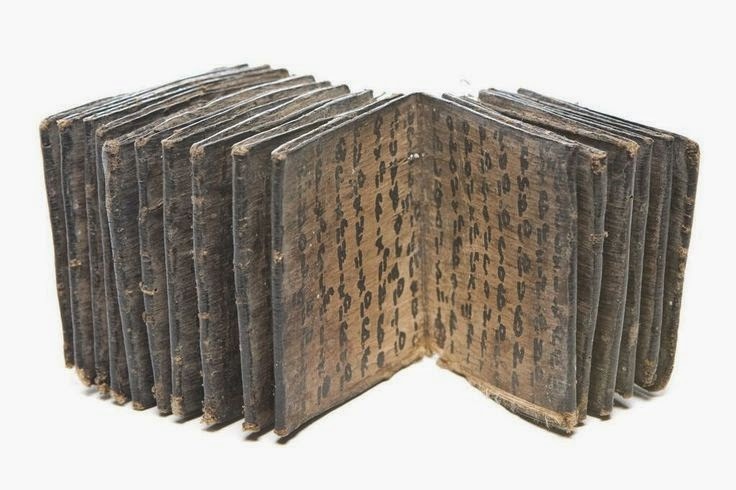 Bark is not the only thing used to write on in earlier times, Indonesians also used to write on palm-leaf. The examples in the Australian library are not of great age, as writings on such fragile material do not survive well in the tropics. The acquired manuscripts are copies, believed to date from the nineteenth or twentieth century. 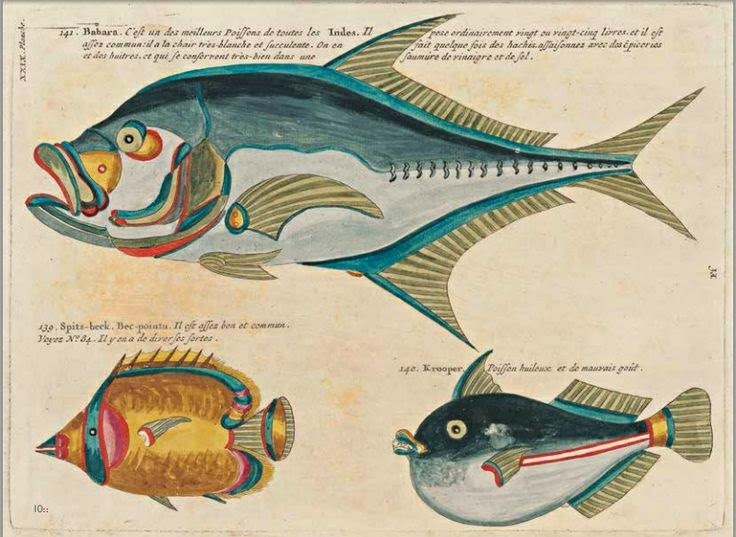 Of course I also want to show the image that first triggered my attention, the beautiful illustration of fish.